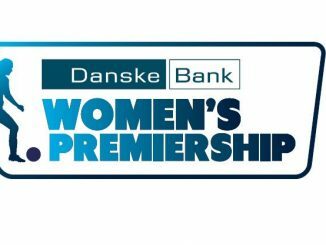 Cliftonville and Crusaders Strikers shared the points in the last North Belfast derby of the NIFL Danske Bank Women’s Premiership season. It’s been a win apiece so far this season with Cliftonville winning the last match between the sides. Midway through the half Niamh Connolly was brought down inside the area by Maddy Harvey-Clifford and the referee awarded Cliftonville the penalty. Northern Ireland international Emma McMaster stepped but her tame shot was easily saved by Clifford. 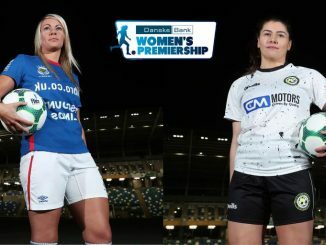 The home side did eventually take the lead when Louise Doherty found Carla Devine with a peach of a cross and she made no mistake with her lob, a third goal in two starts for the young talent. The Crues drew level on 37 minutes when Courtney Moore’s long range effort couldn’t be held by Tiarna McKenna and Nicole Connolly found herself in the right spot to tap in to make it 1-1. The home side were fastest out of the blocks in the second half with wave after wave of attack however none of their efforts really bothered Harvey-Clifford. Cliftonville then could have grabbed all three points in the final seconds of the game as Rachel McConnell saw her strike rattle the crossbar. Glentoran continued their recent good form with a one-goal defeat of Sion Swifts 1-0 at The Oval to open up a four point gap ahead of the visitors in third position. 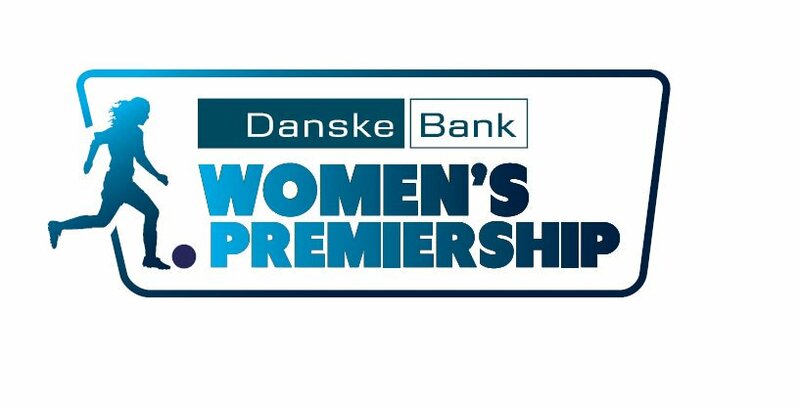 Rachel Rogan was sent through in the 58th min by Kelly Bailie and it took a diving save from the Swifts’ goalkeeper to prevent the Glens taking the lead. 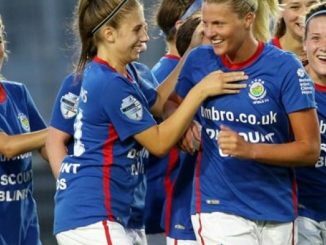 However, in the 67th minute, Glentoran managed to get their noses in front through a pinpoint free-kick by Nadene Caldwell which flew into the top corner for what proved to be the only goal of the game.